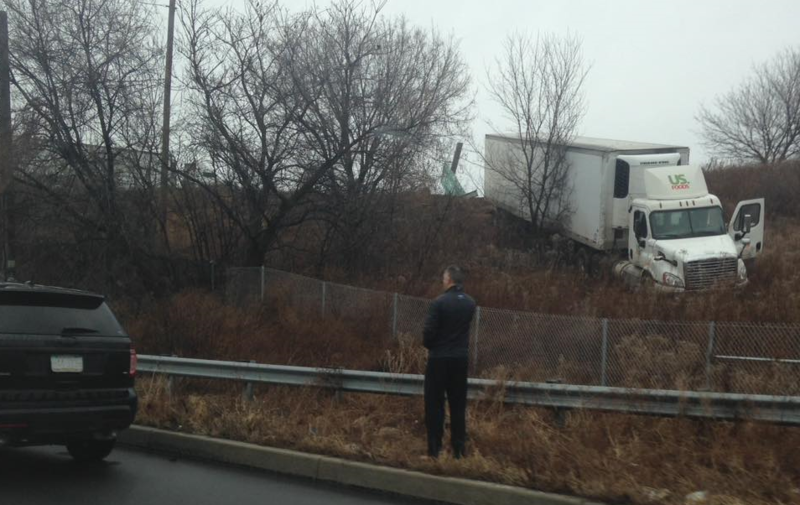 A U.S. Foods tractor-trailer went off I-78 and down an embankment at the Rt. 412 interchange in Bethlehem around 9 a.m. Friday morning. Traffic in the area of the Rt. 412 interchange at I-78 along the Bethlehem-Hellertown border was slowed Friday morning after a tractor-trailer went off I-78 and down an embankment on the south side of the highway shortly after 9 a.m. Photos taken at the scene by an eyewitness show the U.S. Foods truck stopped about halfway down the embankment in tall brush, as someone who appears to be a police officer looks on. In another photo people can be seen along the side of the stopped truck. Rain moved through the area overnight, but the reasons for the crash–which occurred on the Bethlehem side of Rt. 412–remain unclear. 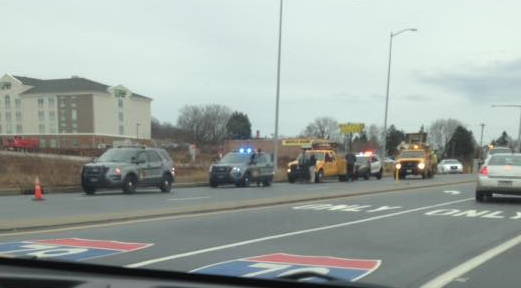 A witness reported that traffic on I-78 east approaching the Hellertown exit was slowed but that vehicles appeared to be entering the highway at Hellertown as normal. As of 10:30 a.m. the witness said authorities appeared to be removing the chain link fence along Rt. 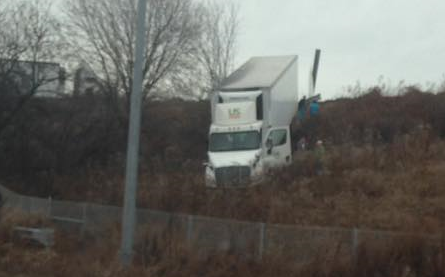 412 north near the I-78 overpass for possible extraction of the tractor-trailer onto Rt. 412. Motorists in the area should be prepared for possible delays as a reult of the emergency response. A line of police and other response vehicles sits along the shoulder of Rt. 412 north near the site of a tractor-trailer accident Friday morning. The Holiday Inn Express & Suites-Bethlehem on Cherry Lane can be seen in the background.